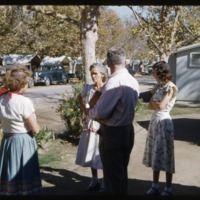 The man and three woman seem to be thinking over their discussion. 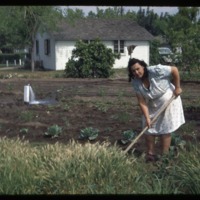 A woman is working in the vegetable garden while she has the water running on the plants. 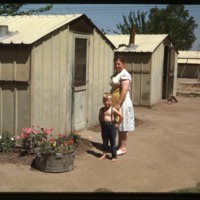 A mother and her son are in front of their camp cabin. Plants are beautifying the cabin.